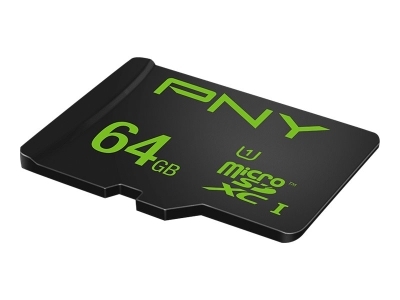 PNY High Performance microSD cards are perfect for the latest smartphones & tablets. With read speed of up to 100 MB/s and write speed up to 20 MB/s you can quickly store & transfer content such as pictures, videos, apps and more. Thanks to its high speed data transfer rates PNY MicroSD High Performance is also compatible with compact cameras & HD action cams.